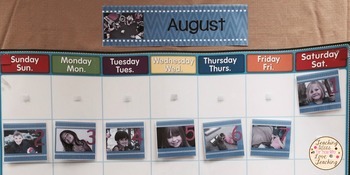 Use these photo editable calendar cards to put each one of your student's photographs on a calendar card. 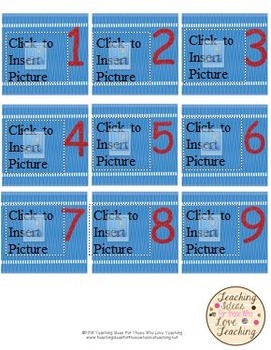 This product is easy to use - simply click to upload the photos of your choice, and you are ready to go. Use the preview to see a demonstration. Each year I take a photo of each student during the first week of school. I then take a picture of the entire class. 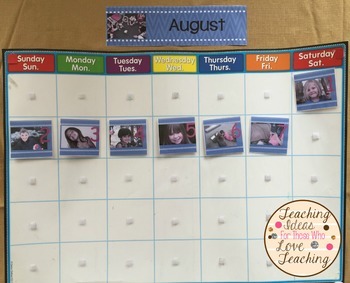 Once I've filled each number card with an individual student's photo, I use the photo of the entire class to fill the remaining days of the month. 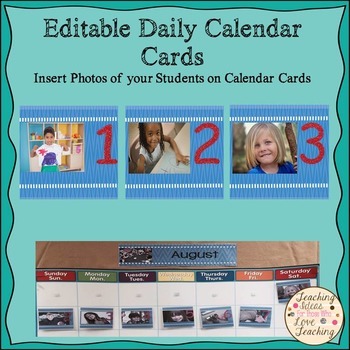 My students love these calendar cards, and remember their "day" each month. Family Tree Lesson and Activities for Primary Grades. RL 2.1 Learning How To As Questions to Identify Key Details and the Main Idea. Johnny Appleseed Close Reading Lesson on Idioms and Pop up Book.